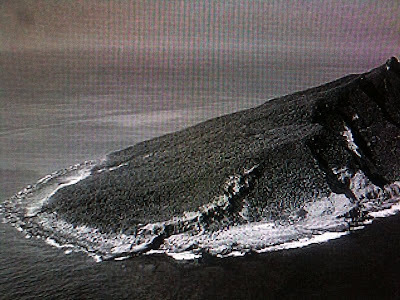 An aerial view of one of the disputed Senkaku/Diaoyutai islands in the East China Sea, claimed by Japan, China and Taiwan. From the moment a Chinese fishing trawler and pair of Japanese coast guard boats came into contact at sea on Sept 8, 2010, the waters were instantly muddied, not so much by the minor maritime incident itself, but by bouts of mutual recrimination. Confusion and concerns raised by the incident were ramped up and amplified by the weight of history, fears about the future, and cultural differences. Sino-Japanese relations remain sensitive and subject to sudden downturns due to the gravity of historical horrors that continue to haunt the present. Each side's self-righteous response serves to further irk and annoy the other, setting off a chain reaction in the direction of a meltdown, if not outright conflict. Accidents happen, as do "accidents on purpose". But even when no provocation can be proven, a collision at sea plumbs deep emotions. A calm, rational handling of the matter is elusive because the slightest misstep or chauvinistic statement resonates with painful memories of the past. For example, Japanese naval luminary Togo Heihachiro became a "celebrity" in Japan in 1894, when he ordered his cruiser, the Naniwa, to fire upon, and sink, the Kowshing, a British-flagged transport ship chartered by China. The son of a samurai turned naval hero went on to humiliate the Russians at Port Arthur using a strategy of stoic stealth to defeat an over-confident and under-prepared enemy, which decades later inspired Admiral Yamamoto Isoroku to execute the1941 Pearl Harbour attack. Admiral Togo was widely feted in his lifetime, not only in Japan but also in England and even in America, though he was understandably unpopular in China for having summarily dispatched a thousand Chinese young men to a watery grave. Divergent cultural norms have a bearing on the disposition of such a case. Not following the rules _ in this case a demonstrable reluctance to surrender _ was a breach of order and propriety sufficient for the Japanese cruiser captain to perfunctorily blow a few big holes in the hull of the uncooperative craft and watch it drop beneath the waves. One man's war hero, another man's war criminal. Arguably there was a method to Togo's mad lack of compassion, so much so that even the British, infuriated that a ship piloted by one of their own might be treated in such a fashion, reluctantly acknowledged that the Japanese naval man known as "Johnny Chinaman" during his studies in Britain, had scrupulously followed the rulebook the British themselves had written. When Togo sank the Kowshing, there was no declaration of war between Japan and China, nor was the British-piloted transport ship in any position to attack. Togo, under instructions to intercept, destroyed the defenceless transport ship, not because it posed a palpable threat, but because it didn't follow orders. Tasked with preventing the Chinese troops from reaching Korea, Togo followed orders with alacrity, offering a choice of sink or surrender, then bailing out of the water only the British captain and a handful of non-Chinese crew. Japanese troops intent on taking control of Seoul subsequently overcame their woefully undermanned Chinese rivals, paving the way to the eventual takeover of the entire Korean peninsula and Manchuria. The naval war that ensued ended with China ceding Taiwan and other territory to Japan. Over the next five decades, China and Japan descended gradually but inexorably into a protracted war that cost tens of millions of lives. Seen from inside the norms of Japanese naval culture, Togo was not a cold-blooded killer, but a discriminating man, both patient and polite, obedient to authority and fanatic about decorum. Certain things simply had to be done a certain way _ hoisting signal flags, issuing formal salutes _ and he could see no two ways about it. 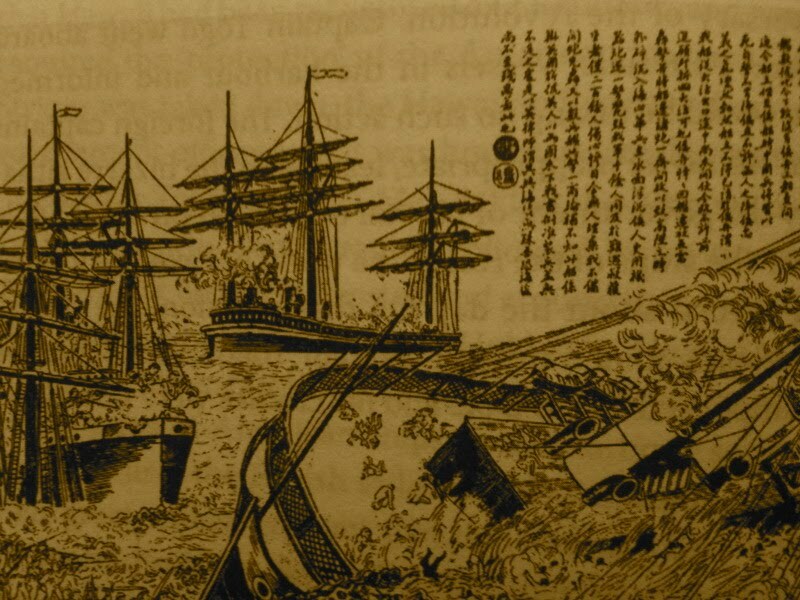 Togo's refusal to save the drowning Chinese was not viewed as a breach of naval etiquette, because the Chinese, growing mutinous, had proven themselves unwilling to follow the most basic rules as they even turned on the hired British captain, whom they suspected to be in collusion with the Japanese. Protocol trumped emotion and the Japanese won, not just the one-sided battle to sink what was basically an unarmed ship, but the rather more complex trial in the court of Imperial British opinion and jurisprudence, which concluded that Togo had followed the letter of British-style law to a "T", a triumph of form over substance which left little regard for 1,000 human lives lost in the water. The victims' lack of discipline, order and decorum presumably put them beyond the pale of naval compassion. China's future strongman Mao Zedong was just a baby at the time, but he and future generations of patriots would find in the long sorry chain of such calamitous events the inspiration to restore China's pride with a vengeance. 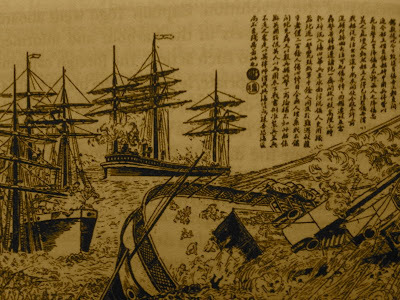 The bumps and scratches of the Sept 8, 2010 Sino-Japanese boat collision incident are indeed trivial in comparison, but the subsequent arrest and detention by the book of the Chinese captain has inflamed the emotions of a Chinese public well-educated in the exploits of Imperial Japan and its predations against their homeland. Once history is invoked, the wild card of public opinion has to be taken into account. The United States, like England during the heyday of its imperial might, currently enjoys a strategic alliance with Japan. Although there have been serious frictions in the US-Japan relationship as of late, due to onerous US military demands for operating space in and around Futenma in Okinawa, it is unlikely that the US will show much sympathy for Chinese sentiments about the contested waters around the Diaoyutai/Senkaku islets so long as Japan is an ally that remains largely observant of American-style military protocol. As Greenpeace anti-whaling activists and other "emotional" opponents of contemporary Japanese maritime behaviour have learned to their detriment, common sense and compassion are not necessarily extended to those who fail to abide by protocol _ the law, as Japan sees it _ when encountering a Japanese vessel on the waters. Anti-whaling activists have seen a catamaran craft rammed and capsized; the Japanese side claims it was an "accident"; while in 2008 the Lianhe, a Taiwanese fishing vessel, was struck and sunk by the Japanese Coast Guard patrol boat Koshiki, which managed to rescue the crew. Similar near-clashes have been reported this month involving boats from Taiwan. The potential wealth of the contested waters, rich in fish, with a seabed underneath that may well prove rich in oil and minerals, adds to the mounting tension. Given the deep wounds of a past that saw Japan invade and wreak havoc on China, even the most minor of scrapes in contested waters is a critical event that must be managed with political care and cultural sensitivity. Given the Japanese tendency to play it by its own rulebook and the Chinese penchant to play it out in public, each side predictably thwarts and infuriates the other. If the two dominant powers of East Asia once again find themselves on a collision course, history suggests that things will get much worse before they get better _ and no one wins in the end. Still, it's not too late for all claimants to the contested waters to step back, put aside seemingly intractable claims, and take the long view. 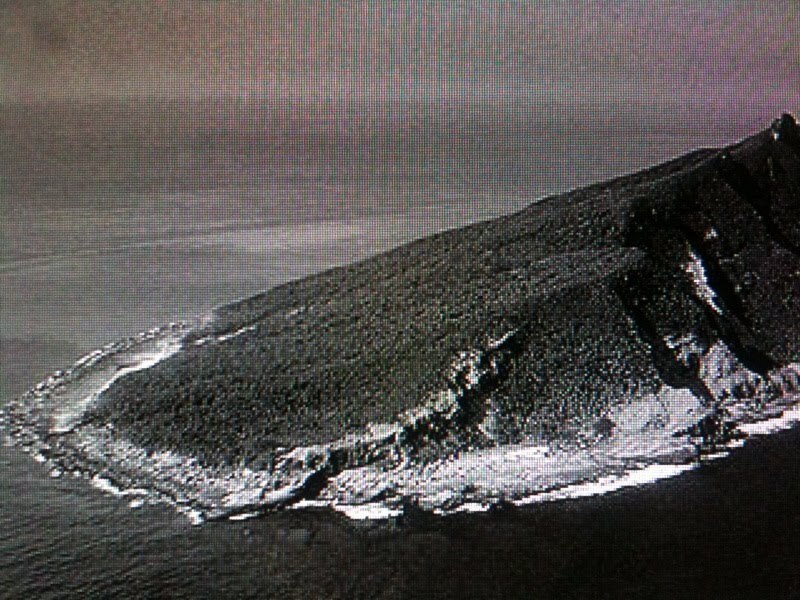 Instead of shedding blood over rocky islets, give back to nature the sea and the seabed until future generations can equitably sort out what belongs to whom.